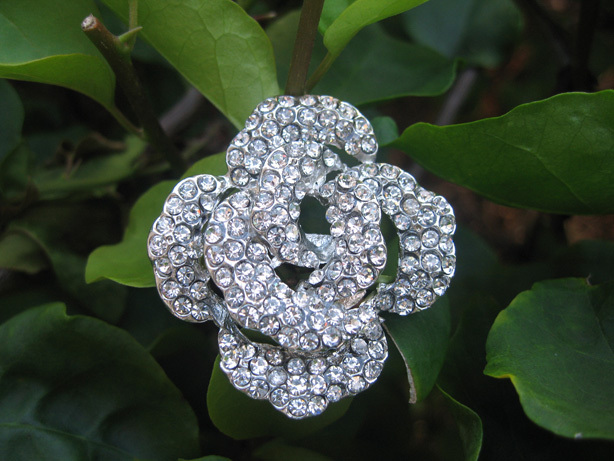 You are looking at 5 pieces of Beautiful crystal flower buttons with sparkling clear crystals in silver tone metal. They are perfect either to sew on clothes or just for button collections. You can also use them for the wedding invitation or cake decoration. Intended for ages 15 and up.